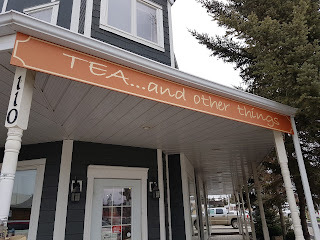 Throwback Thursday – I wrote this post last April on almost the exact same day but this year there is still a pile of snow on the ground and few signs of spring but we did our studies outdoors today nonetheless. But there is more to Cochrane than ice cream alone. It is also home to the Historic Cochrane Ranche, the original site of Alberta’s first major cattle operation. Established in 1881 when Senator Matthew Cochrane leased 100,000 acres of land from the Canadian government (for a penny an acre according to our social studies text) and drove thousands of head of cattle north from Montana. This helped establish the federal grazing-land policy that, in turn, built the western cattle industry into what we have today. What a great opportunity to learn about an event right where it happened. Much better than in a dry textbook alone. The ranch is a nice spot for a picnic lunch and to spend some time in nature, all with a beautiful view of the Rocky Mountains. Life doesn’t get much better than this! Part of the original ranch lease has also been protected as Glenbow Ranch Provincial Park to preserve its important history. This was land where First Nations peoples established tipi camps and corralled bison. Later, Glenbow became a water stop, and then the station, on the CPR mainline. Sandstone from the Porcupine Hills quarry located here was used in the Alberta Legislature Building. The quarry was replaced by a brick plant in later years before closing during World War I. Part of the Trans Canada Trail network, Glenbow Ranch offers family-friendly weekend programs throughout the year. Ranging from pond exploration to archeological adventures to Star Nights there is sure to be something for everyone in the family. 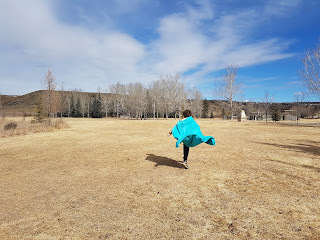 Our sunny day, in southern Alberta fashion, turned to wind and cold just as we were reading about the winter of 2006 -2007 when there were no chinooks (no, we didn’t need a demonstration of the cold.) EJ said he just couldn’t imagine having a winter with no warm breaks from chinook winds blowing in from the west. As he says, our winters here are cold then warm then cold again but there is always hope for another warm day to give us a break before spring finally arrives. After chasing our notebooks in the dry grass for the third time (it’s tough to sketch when your pages keep flying away!) we decided to pack up and head for somewhere a little cozier. We continued to chat as our purchases were wrapped and I discovered Kelly is originally from Moose Jaw, Saskatchewan (I have family there) and that her family ran Joyner’s Department Store on Main Street. A small world indeed as I remember her parent’s store, complete with the cash carrier that ran on a little track around the ceiling. My girls were fascinated by it on our last visit to the Tunnels of Moose Jaw but, sadly, Joyner’s was destroyed in a fire in 2004. Note: Kelly has closed her shop and moved her business online in preparation for her move to the Maritimes. She does have a little shop, Tea Hippie, just down the boardwalk to the last door, they are downstairs. Check for her hours as the shop isn’t always open. After warming up a bit, EJ decided he really could enjoy a dish of his favorite Tiger ice cream at MacKay’s (conveniently located right around the corner from the tea shop) after all. Even this early in the year on a chilly and blustery day, MacKay’s had a steady stream of customers. And no wonder, MacKay’s continues to use their grandmother’s delicious recipe (it starts with 100% Canadian high butterfat cream.) 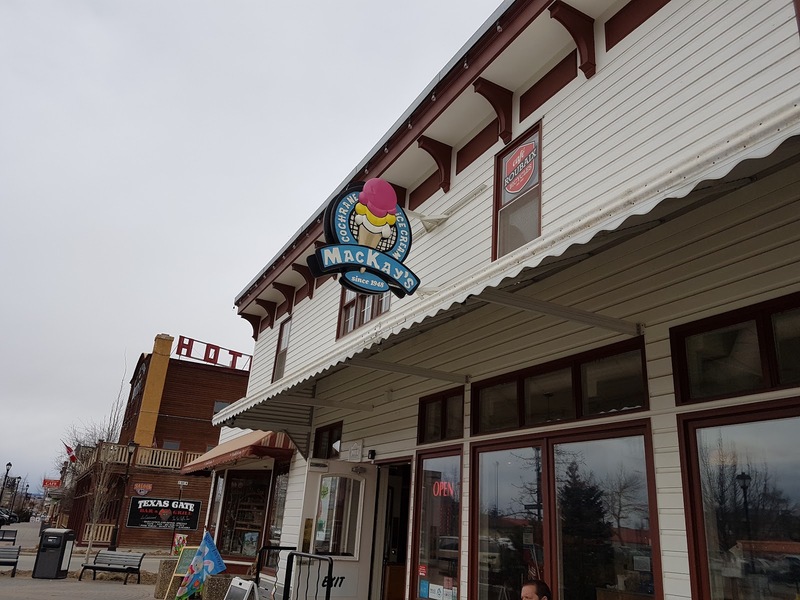 The same one that James and Christina MacKay used when they began making ice cream in the back of their general store in 1948. 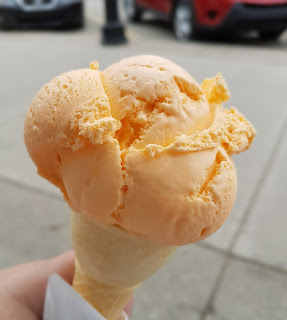 I couldn’t resist an orange-pineapple cone myself! Back on the road again, EJ and I ended our day with a drive past Fort Calgary and the Stampede Grounds. Two spots of importance to the history of our area but visits will have to wait for another day. For now, we will have to be satisfied with finishing our school day at the kitchen table while enjoying a steaming cup of Yorktown Earl Grey. For more Throwback Thursday posts be sure to visit Tots and Me…Growing Up Together by clicking the image below.